SweatStyle is a new personalized shopping service that helps you discover and purchase high-end active wear. Here’s how it works: When you sign up, you fill out a very detailed survey about your sizing, style, preferences, routines, lifestyle, and favorite workouts, etc. Then a stylist picks fitness clothes and accessories for you. 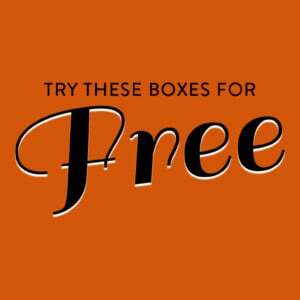 Once you get your box, you have 5 days to try everything on and return whatever you don’t keep. There’s a $20 “Sweat Fee” that gets put towards any items you keep (like Stitch Fix’s styling fee), and if you keep 3 or more items you get 20% off your total purchase. Every item in the box was sent protected in a plastic cover bag. COUPON: For a limited time, use code MSA20 to save 20% off your first box! The Products: Approximately 5 items of mix-and-match style, high-end fitness clothing, and accessories, including fitness and lifestyle tops, bottoms, sports bras, outerwear and accessories like socks and headbands. Each box includes a slip explaining all the steps of how this subscription works. Each box also contains a packing slip and a pre-paid shipping bag to send back the items you don’t keep. SweatStyle has sent me a few tank tops that have super wide armholes like this, and I personally really don’t care for them. I have a larger bust so instead of being flowy and loose they just look like a bib to me. That plus the curved hem just made it very much not something I would like to wear. The material was comfortable, though, however. These leggings are so comfortable! The material is thick enough to not be see-through at all, and the material is very stretchy, cool, and supportive. I don’t wear patterned leggings often, but I really felt comfortable in these. I really like this sports bra! I like that it’s black to go with anything but still patterned with a cool gloss detail. I was surprised, though, that a large was actually too big on me. It fit well but just gave zero support. I know it’s not designed as a high-impact bra or anything, but it just wasn’t holding anything in any kind of place. I just needed a size down, really. So, this went back. I love the back design, though. This mesh tank is great – it fits well, is comfortable, and (obviously) very breathable. My only issue is that I workout at the gym often and don’t particularly want to wear a see-through top (power to you girls who work out in only sports bras – that’s just not my personal comfort zone). I could keep it to wear while working out at home, so I’m on the fence. I don’t often wear printed leggings, so this moonscape design is a little bold for me! The fabric was very nice and felt high quality, and the pattern didn’t distort at all when the fabric stretched to size as I pulled them on. I like the length, as well, which is often really hard to find long enough for me. This tee was made of really soft material, but here again there were some small things that make it not work for me. Firstly, I don’t personally want to wear white to the gym; although I have “neutrals” selected as an option I prefer to wear to a gym, I generally stick to greys and blacks. Secondly, I didn’t love the split hem. Which is funny because the whole stand-out detail of the top is that there’s a zipper letting you split them hem even more. I wish the zipper went all the way down to the hemline and didn’t start halfway up the side). Verdict: My June SweatStyle was okay, but it seemed like most pieces just had small things that made them not a “love” for me. 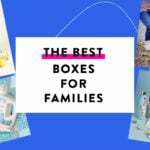 I absolutely adored my first box from them, so I’m holding out for more great picks next time! Plus, I went into my style profile and more specifically detailed what I do and don’t want, which should really help my next box. SweatStyle definitely sources higher-end athletic wear and it shows in the quality (and prices) so it’s not a budget box, which is something to keep in mind when considering this subscription. All in all, I do enjoy my SweatStyle boxes and I’m hopeful going back into my style profile and adding more details will help the stylists find pieces I really love. I’ve been happy with the quality of the items, which is absolutely super important when shopping at a higher price point. Can you still get this box if you sign up today? Each box is curated based on your style profile, so your box will look different than mine. 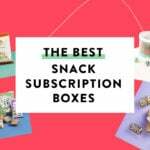 Coupon – For a limited time, use code MSA20 to save 20% off your first box! Value Breakdown: This box cost $20.00 with free shipping. The total retail value of the items inside was $431.00. The $20 styling fee gets deducted from anything I keep, and if I keep 3 or more items, I would receive a 20% discount off my total purchase. Check out all of our SweatStyle reviews and the Fitness Subscription Box Directory and Women’s Clothing Subscription Box Directory! What do you think about SweatStyle? How do subscribers rate SweatStyle? Do you subscribe to SweatStyle? Add your rating now! Thank you for the review. I like the shorts and the white shirt. I wish someone would come up with a ladies leisure wear sub box…loose clothing to lounge but suitable for public like errands, etc. Maybe it’s out there and I have not looked for it. I love the moon leggings and the mesh tank on you! I recently got a mesh tank even though I hate sheer fabrics and showing my arms. After one work out, I’m hooked. So breezy and I didn’t get overheated. I really like those Moon leggings on you! I agree. Love the moon leggings and mesh top. Great review. Thank you. Oh, thank you! That’s encouraging – I’ll have to give branching out of my comfort zone another try! Thanks for reading!